Diabetes can truly be cruel at times. Naturally, you have to curb your carb intake and deprive your diet of the sweet joys of life – sugar, confectionery and chocolates. Surprisingly, a lot of patients also put the brakes on fruits. 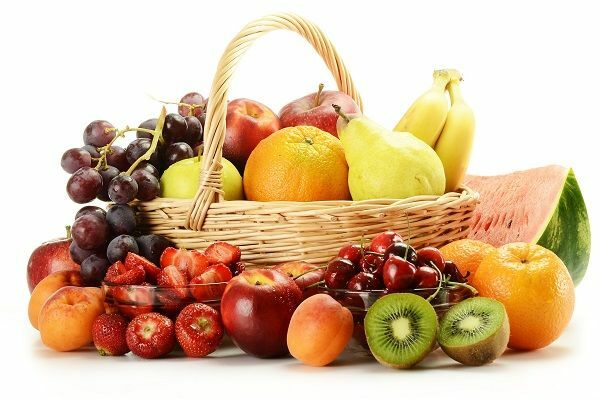 While fruits like mangoes, grapes and bananas are dangerously high on carbs, there are still a handful of fruits that can be easily incorporated into a low carb diet plan for diabetics. Plus, many of these fruits are also high on other essential nutrients such as vitamins, fiber and antioxidants making them even more vital. Read on. Like suede to touch, fleshy to feel and not too sweet to taste, apricots are nothing less than perfect tropical summer jewels for your diet. With an astonishingly low 4 grams of carbs (0.1 oz) and 17 calories apricots are arguably the best fruit for diabetic patients to add to their meal plans. In addition, the fruit can also supplement for 70% of our daily vitamin A needs. Add some diced apricot to a bowl of salad or your favorite morning cereal to add a hint of sweetness as a substitute to adding regular white sugar. Deceptively unappetizing yet sharply zesty, kiwi is one of the best low carb fruits that’s available all year round and can stay fresh for up to 3 weeks in your fridge. It’s therefore one of the best additions to your diabetic diet. Fuzzy and brown from the outside and green and citrusy from the inside, a large kiwi packs up to 56 calories and 13 grams (0.4 oz) of carbs in itself along with a healthy dose of fiber and potassium making it an excellent choice to regulate proper bowel movements. The fruit has a very distinct taste, so eat it separately or all you’ll be tasting from your palette of flavors is nothing but the kiwi. A lot of people believe that oranges are loaded with carbs and can pretty much throw a diabetic’s blood sugar levels off the charts, but that’s not quite the case. Oranges in fact aren’t too far from kiwis on a diabetic menu. With roughly 62 calories and 15 grams (0.45 oz) of carbs per glass, orange juice can easily substitute for most sugar containing sodas and alcohol as an ideal beverage for someone with high blood sugar. Not to mention, orange juice is also an excellent source of vitamin C that helps you boost your immune system against common seasonal allergies. This false fruit probably does more good than any real fruit. An apple a day keeps the doctor away – unless the doctor’s really good-looking of course! Just one apple in your entre day’s diet plan is good enough to do the job. With just only 14 grams (0.4 oz) of carbs, apples are great for maintaining blood sugar levels. Apples are also one of the best sources of dietary iron and also help to make fresh blood as a side-perk of being low on carbs. Don’t peel, leave the skin out; it’s rich in cancer-fighting and youth-enhancing antioxidants. Berries aren’t just super-flavoured, but they’re considered as super-food for diabetics. Apart from them being packed with fiber, vitamins and antioxidants, they’re one of the most low carb fruits around with approximately 16 grams (0.5 oz) per cup. The best part is that by the time you nibble on just one cup of these tiny tangy fruitlings, you’ll be feeling full already and would be able to keep a check on your carbohydrate intake to maintain you blood sugar levels. Go for the darker ones, they’re more berrylicious! Revision 5.1.2019; 404 link removed.